Sometime around 1992, the folks at Austin, Nichols decided to remove the 8-year age statement from their flagship bourbon, Wild Turkey 101. It was an unfortunate change, but not an uncommon one at the time. It was the 1990’s and lighter spirits were surging in popularity in the United States. As for brown spirits, blended whiskeys like Crown Royal Deluxe and Seagram’s Seven Crown were top-sellers. It seemed the demand for age-stated Kentucky straight bourbon whiskey in the US had reached an all-time low. But the market was much different overseas. American whiskey was popular in Asia and age statements remained extremely important (and still are). As a result, Wild Turkey 101 maintained its 8-year age statement and can still be found regularly on foreign shelves today. Overall: Wow – this one threw me curveball. I went into this expecting a profile similar to 1991 Wild Turkey 101/8 … I was very surprised. Cinnamon is not a common dominant dusty Wild Turkey note for me. One might find waves of it in earlier Rare Breed releases, or certainly in some Russell’s Reserve Single Barrels, but you rarely hear of it as a forward note (especially when it comes to dusty 101). This WT 101/8 is so unique, that I’m not quite sure how to rate this pour. To me, the spice almost makes it unbalanced … almost. It’s somewhat hard to judge balance when the dominant notes are so excellent in flavor. 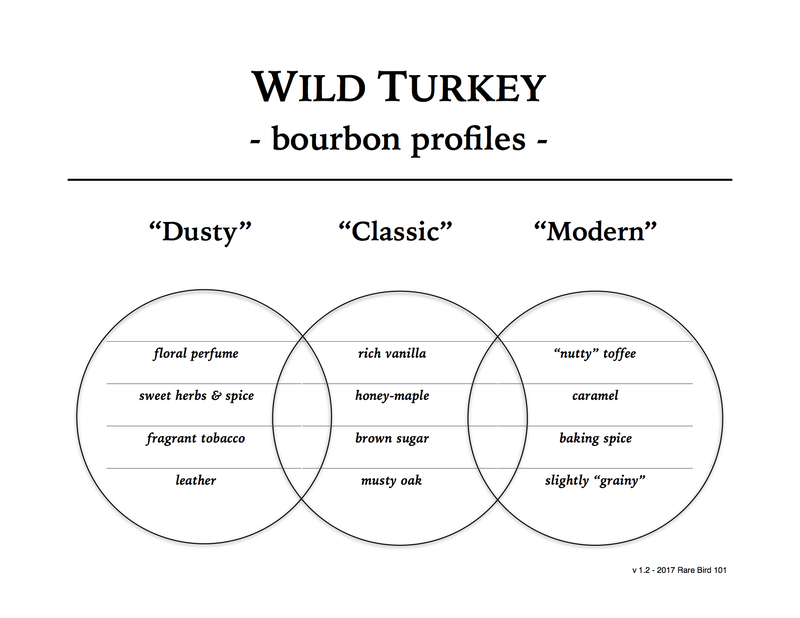 That said, I like Wild Turkey best when the rich vanilla/toffee and spicy herbal/floral notes counter each other enough to let the musty/funky oak shine through. I’ve found this best experienced in 80’s to early 90’s WT 101/8. But don’t get me wrong – this is fantastic whiskey. If you’re a huge spice fan – particularly cinnamon – then you should really sample a 1994 export bottle of WT 101. You’d likely consider it a stellar bourbon.